As the name suggests the game is something to do with a Doctor, but don’t let the name get you because this Dr. Awesome Plus+ App totally rocks. Anyone who wants to enter the medical field or wants to experience what is it like to perform a surgery then this application is for you. The format of the Dr. Awesome Plus+ipod touch game is very simple, you start of with being a young intern and then you have to cut and stitch your way up to become a pro surgeon. And the best part is that you as a user have to perform the operation yourself. Every level in Dr. 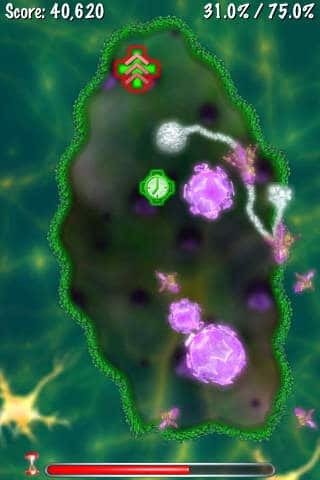 Awesome iPod Touch Game is a new challenge with a new infected patient, where one has to operate by tilting the phone. To add to the fun of Dr. Awesome Plus+ ipad App each patient is pulled out from your very own address book. SO choose your patients carefully. This Dr. Awesome Plus+ iphone game App requires the iPhone 2.1 software update, and then you are ready to go. Just click the button below to get this Dr. Awesome Plus+ App for your iPod Touch, ipad and iPhone!